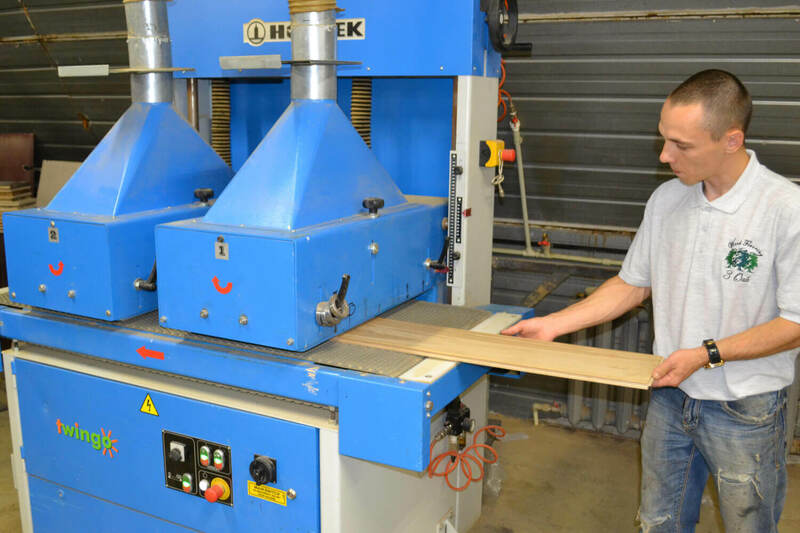 There is no middle man, no extra costs, and no compromise in quality. 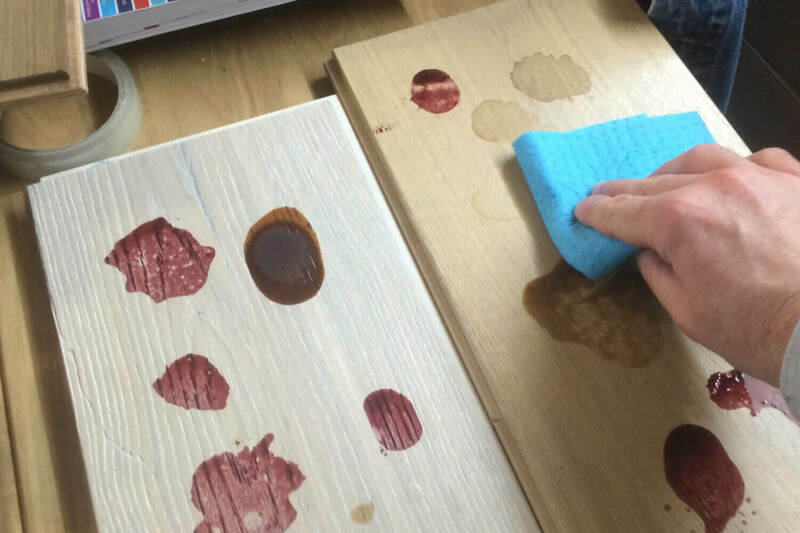 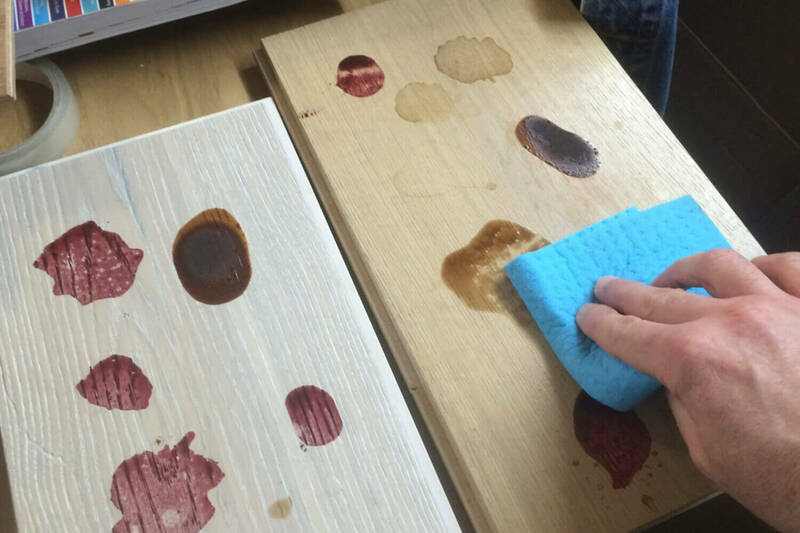 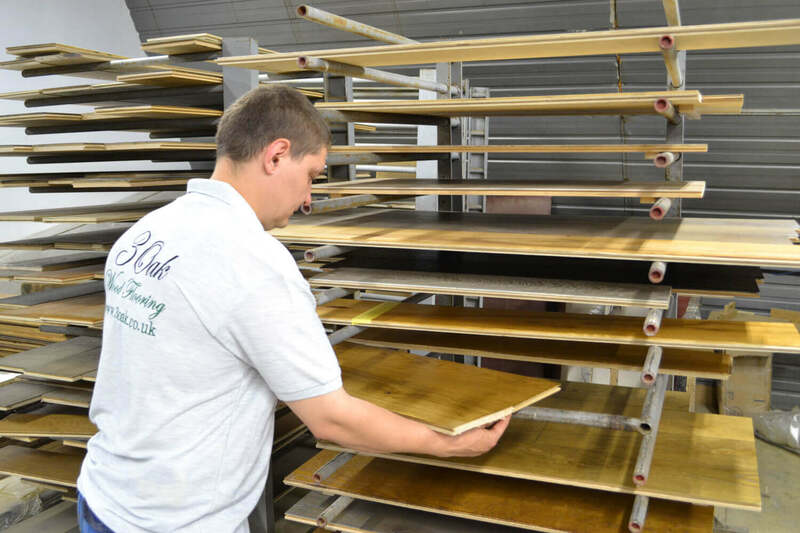 We have strict, quality control measures in place at our factory, to guarantee that the highest quality finished product is achieved every time. 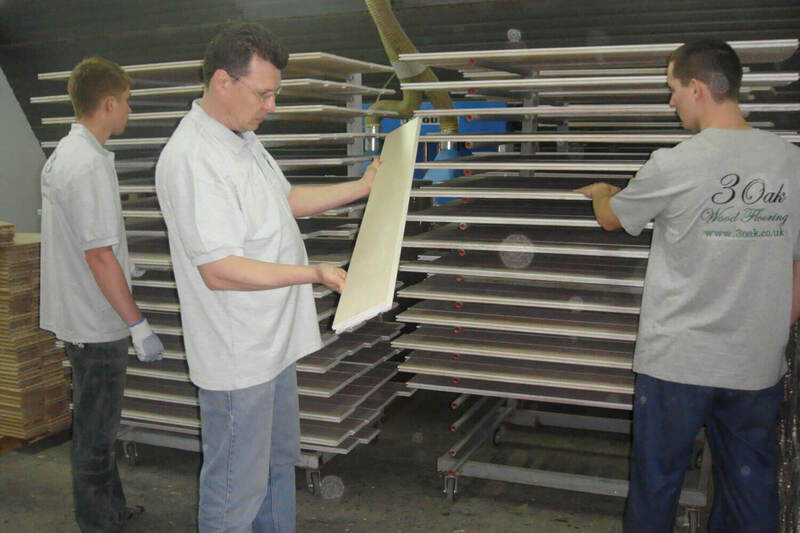 Also the direct involvement in the production process allows us to establish effective pricing policies. 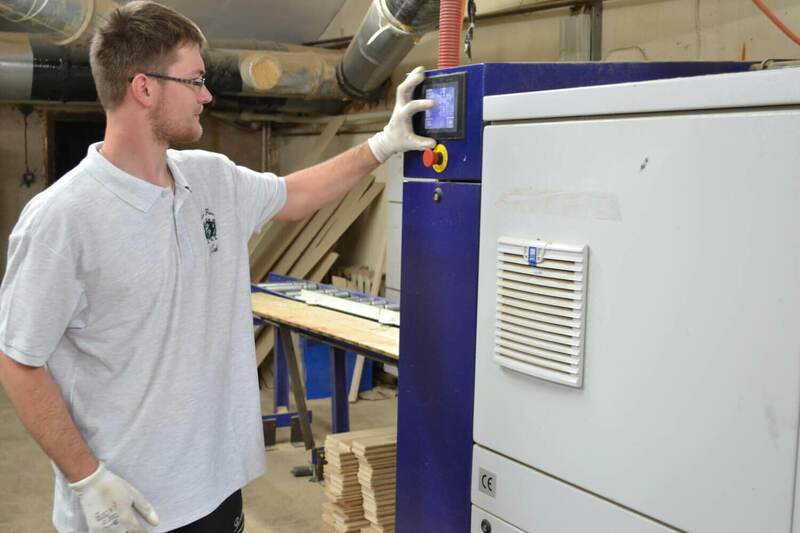 Our business model allows us to pass on the savings to our customers. 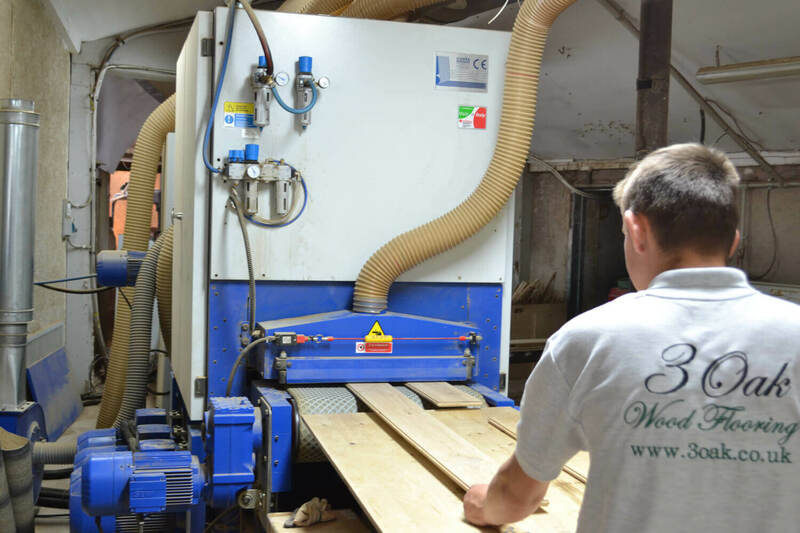 This strategy enables us to offer discounts and payment plans that are convenient and affordable for our clients. 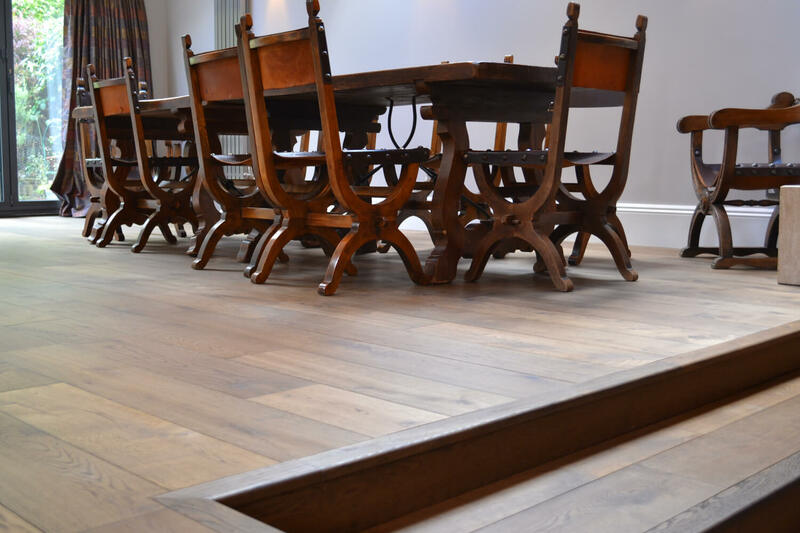 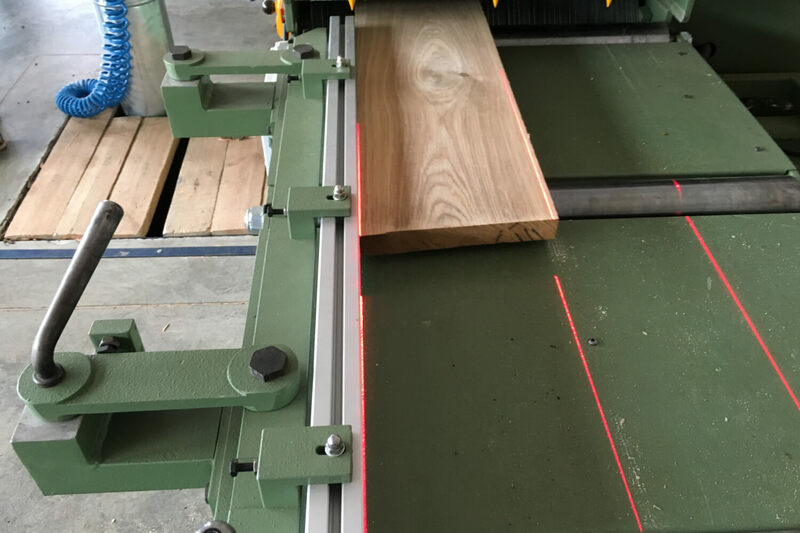 Our engineered wood flooring is hand finished by our highly skilled craftsmen at our London workshop. 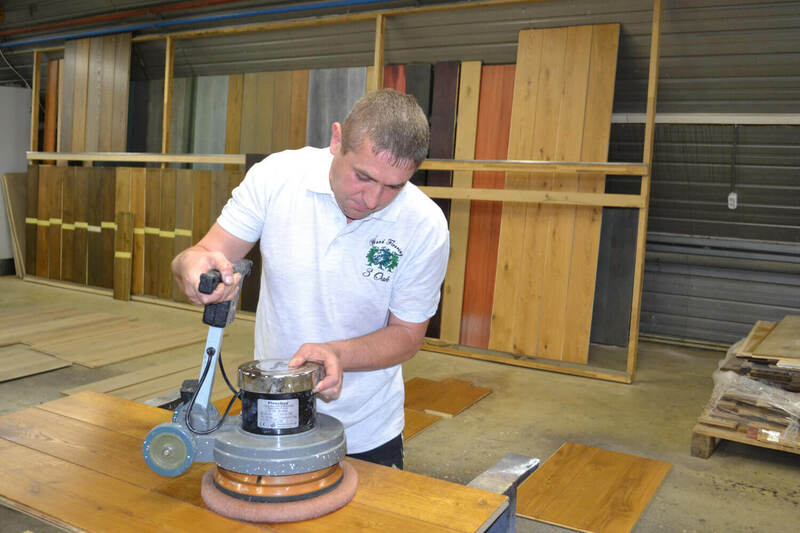 We combine traditional techniques and over 30 years of experience with our own developed high quality materials. 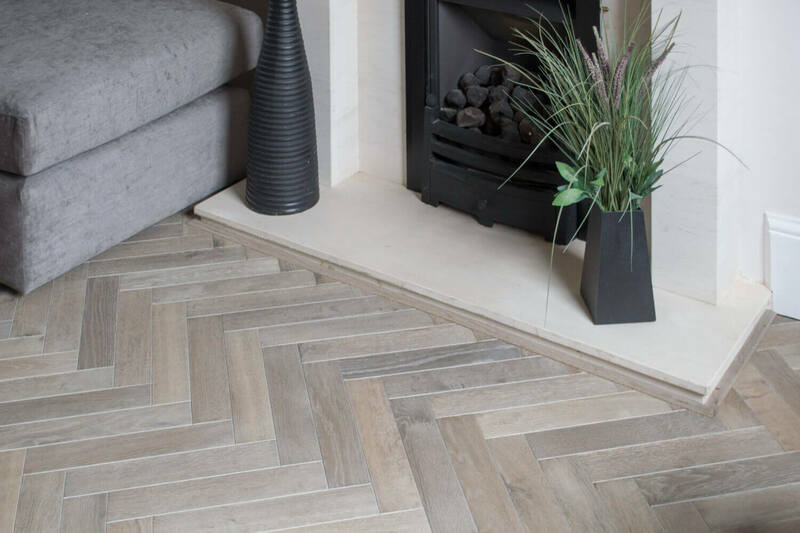 We only use the best range of products on the market. 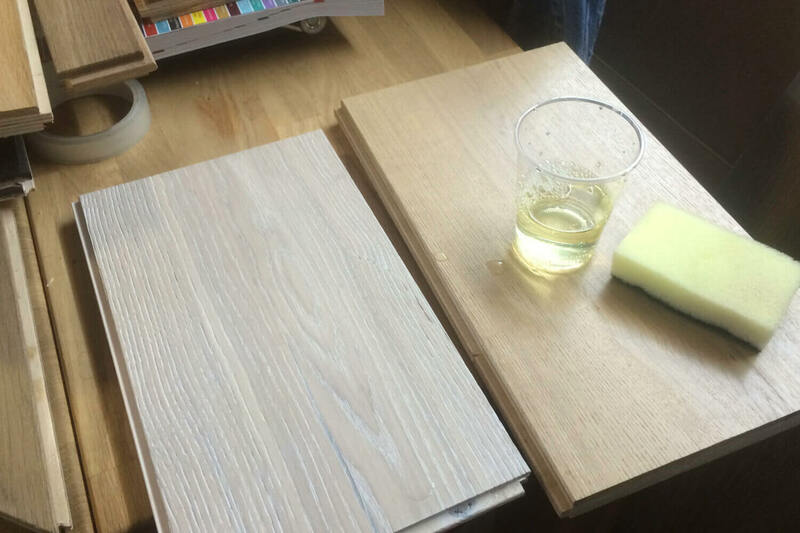 The customer has full flexibility of choice on colour and design, your possibilities are unlimited. 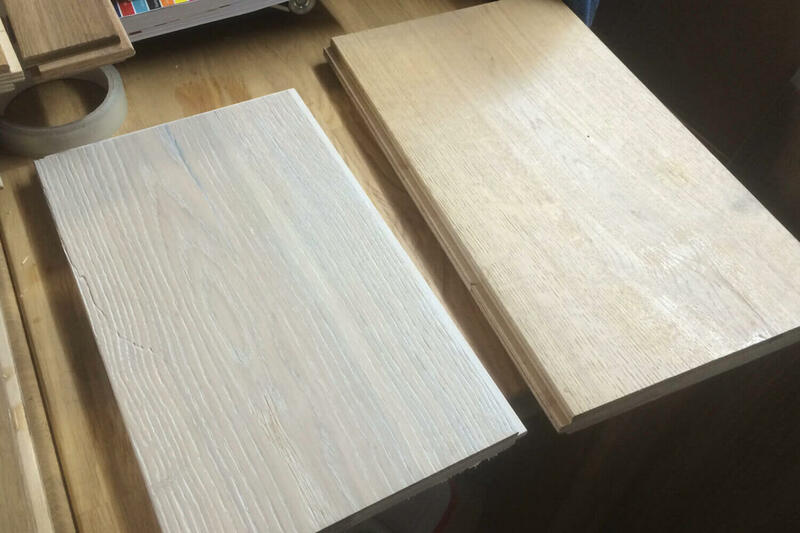 The outer, lighter coloured wood is the sapwood. 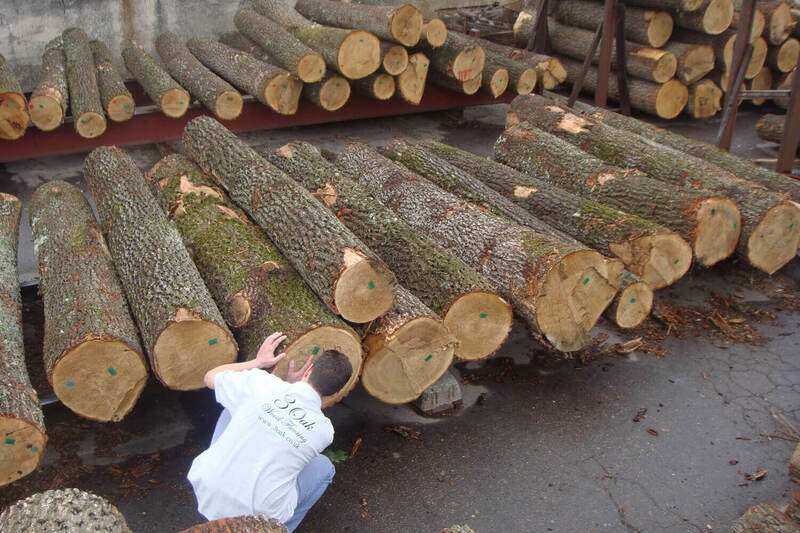 This is the “working” part of the tree, as water and sap will flow through the sapwood much like blood through your arteries, veins and capillaries. 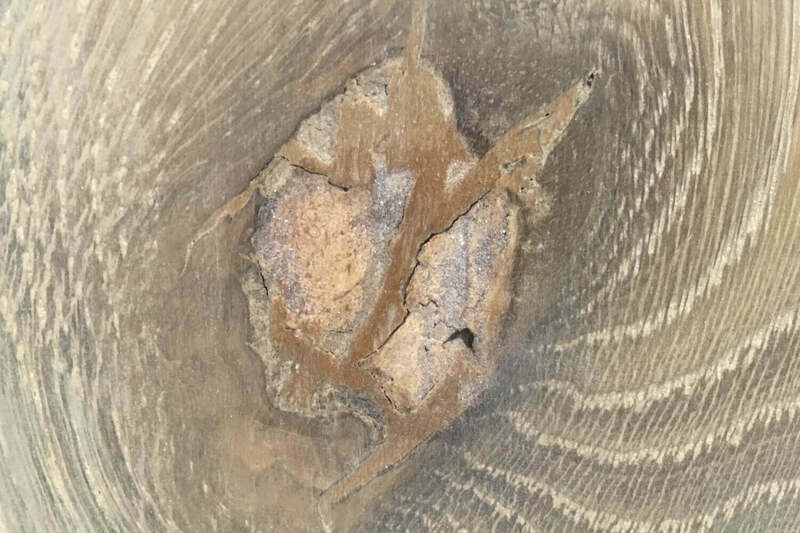 While this part of the trunk is vital to the tree when it is living, it doesn’t make for very good stock for woodworking. 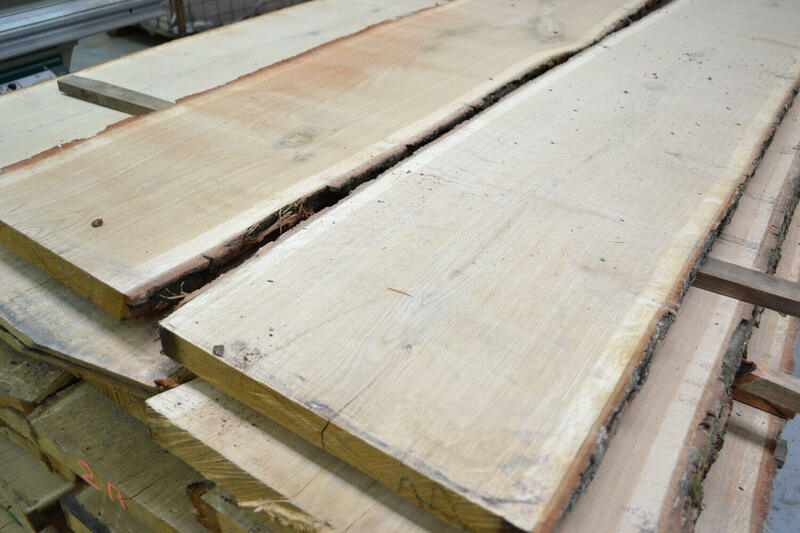 Sapwood contains a lot of moisture, will shrink considerably when dried, and is much more susceptible to fungus. 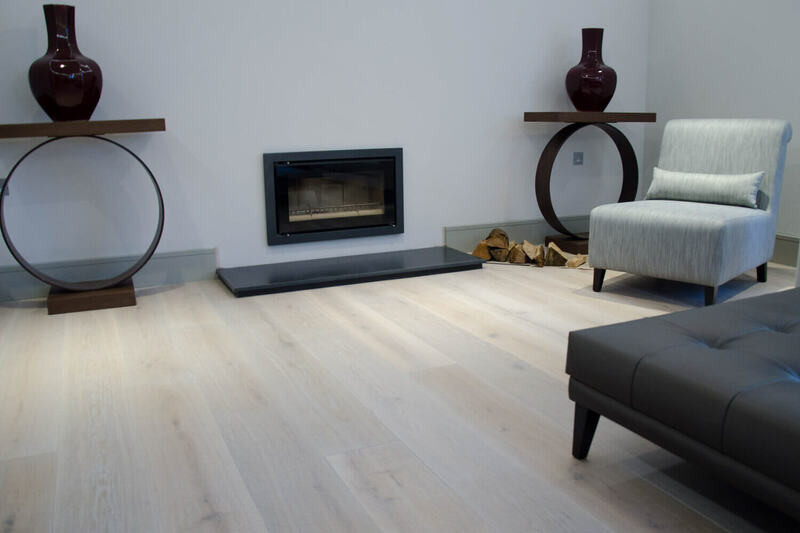 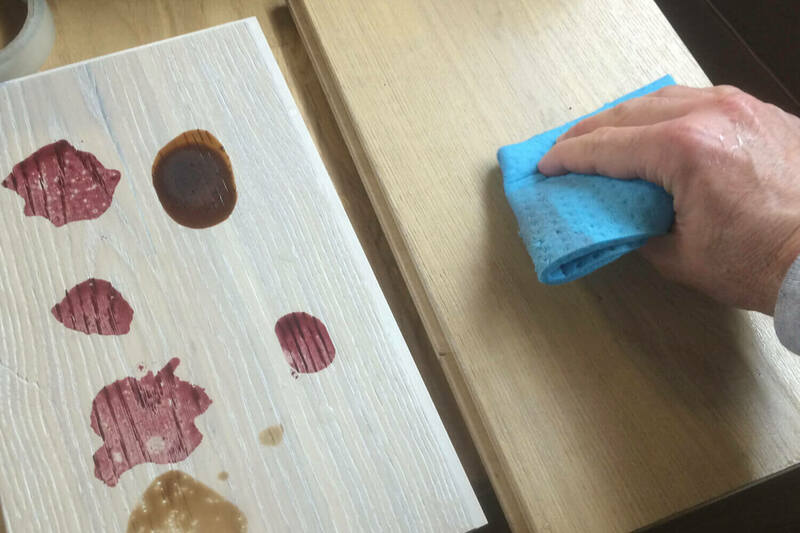 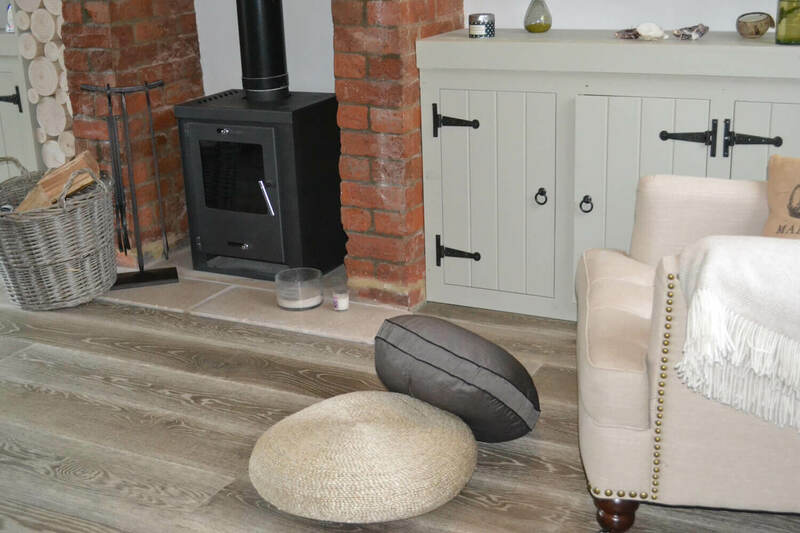 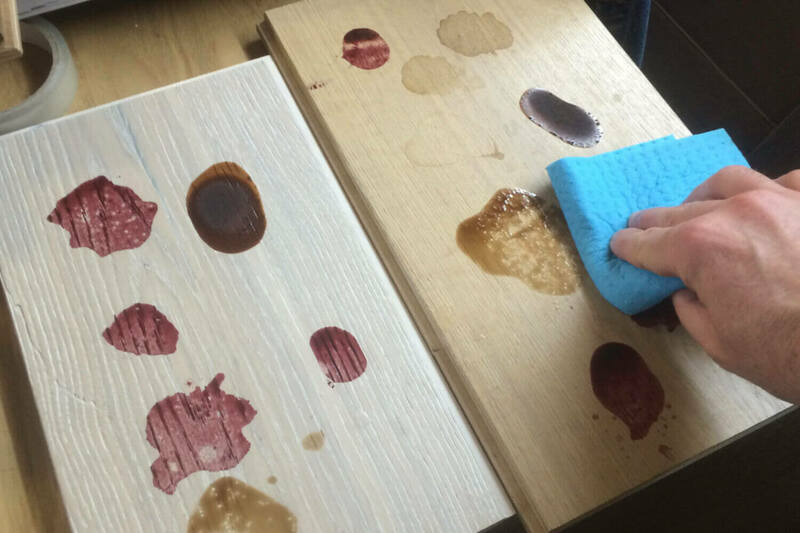 3 Oak Wood Flooring are proud to say that all our floors are fully protected with our own top coat stain resistant technology developed to improve durability and protect against stain damage. 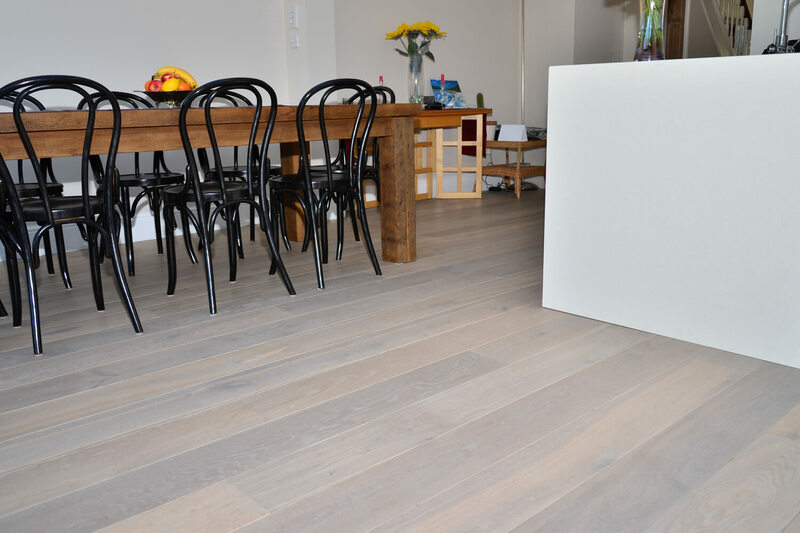 Once applied the formation of a hard-wearing protective top layer, gives added security against possible damage to your Hardwood flooring. 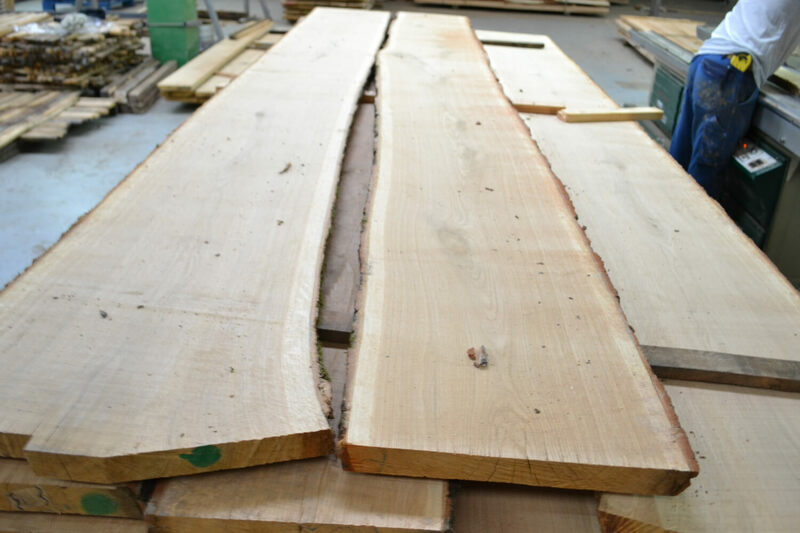 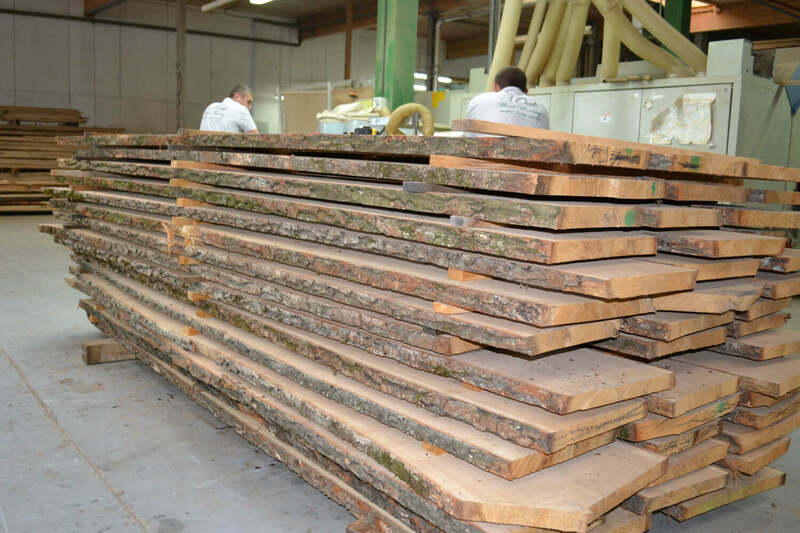 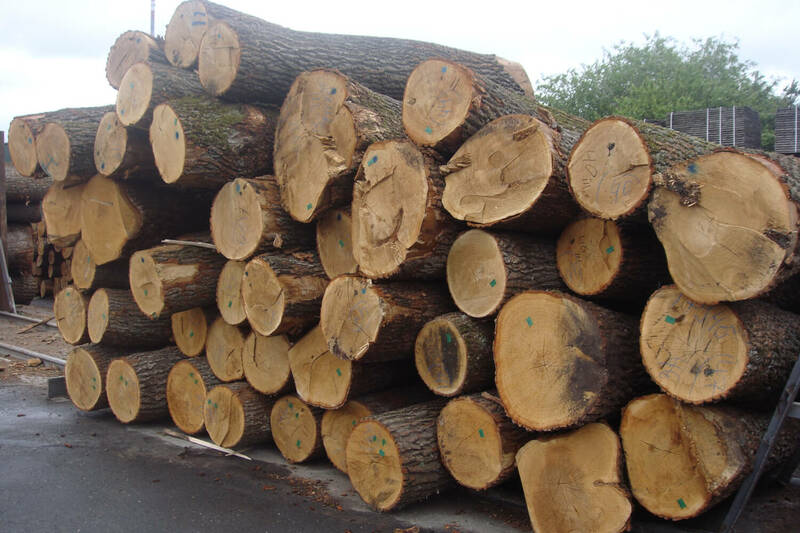 All our oak is carefully selected and cut from fresh controlled European forests. 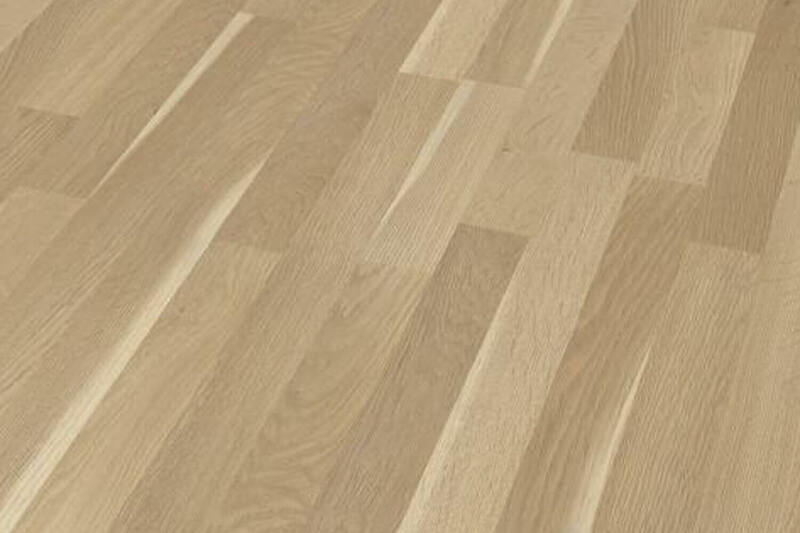 As a result, the oak keeps an even, natural colour, free from sapwood, without any defects. 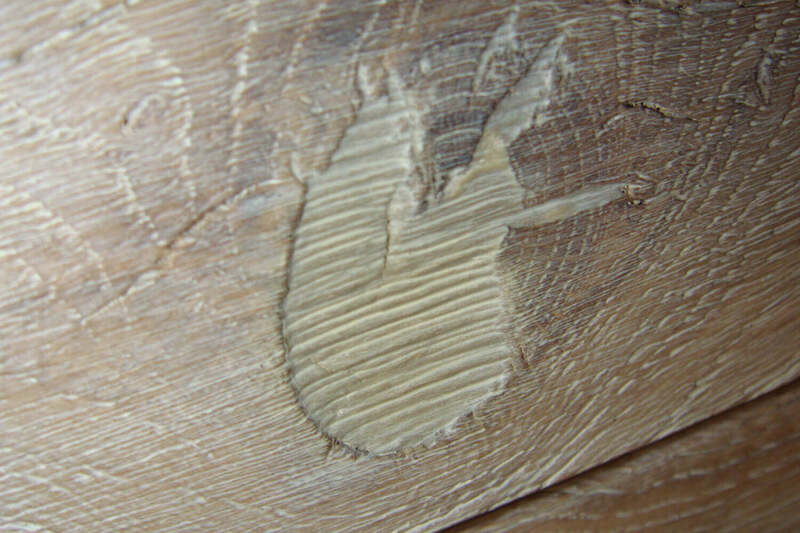 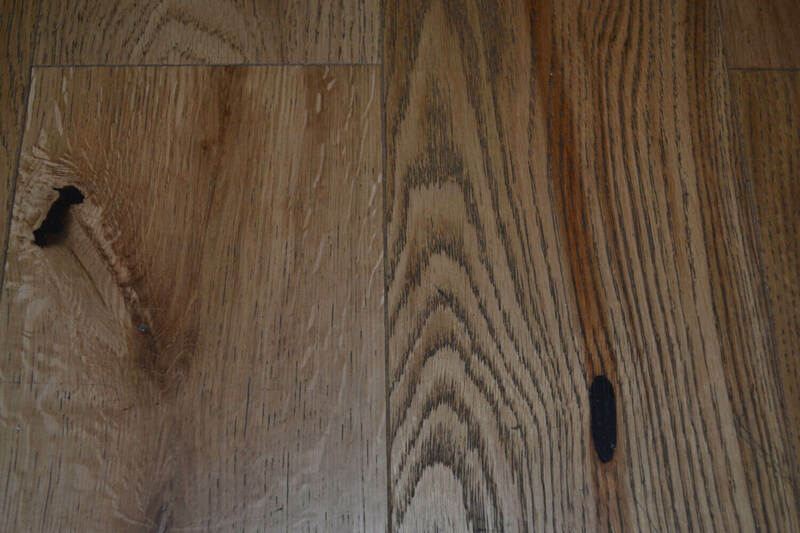 They can then be classified into our Select (Prime) and Character wood flooring grades. 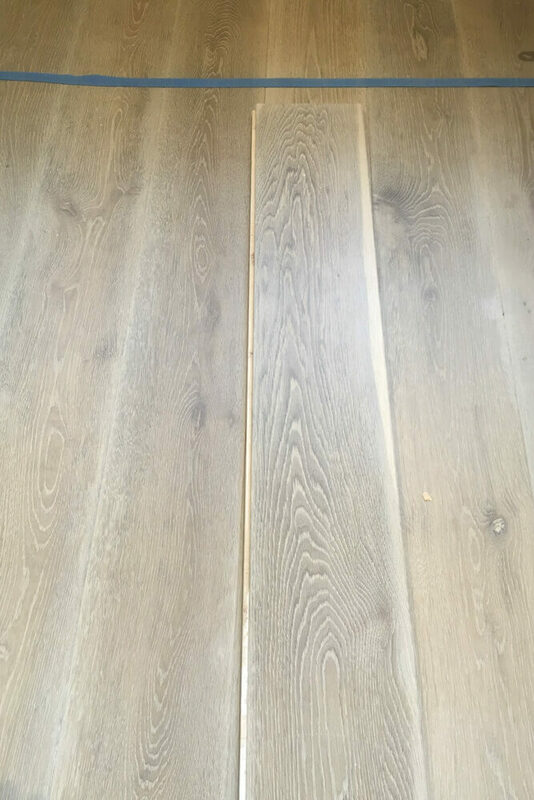 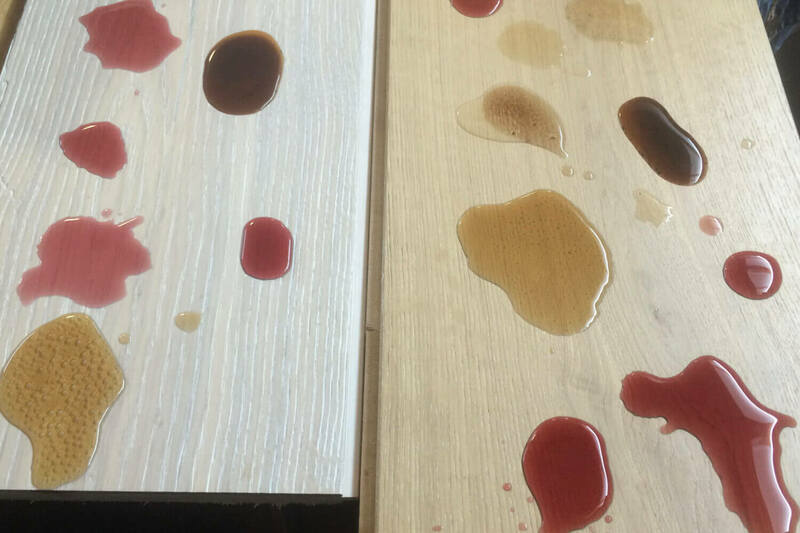 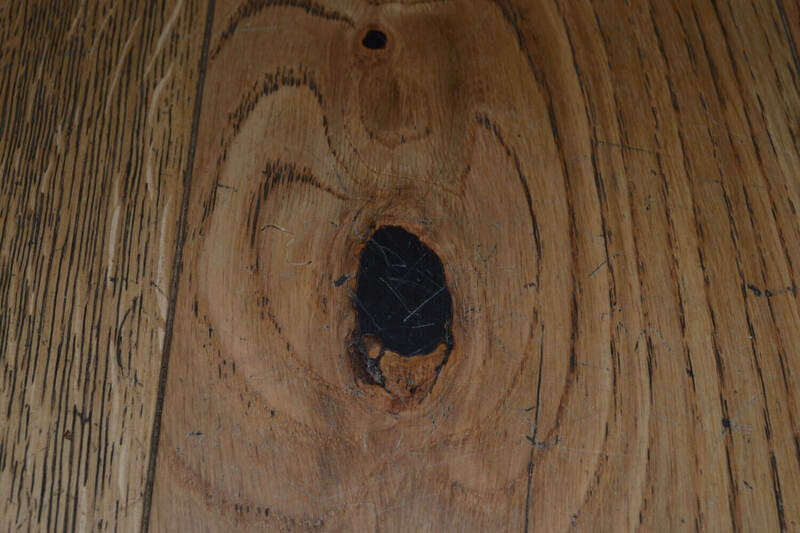 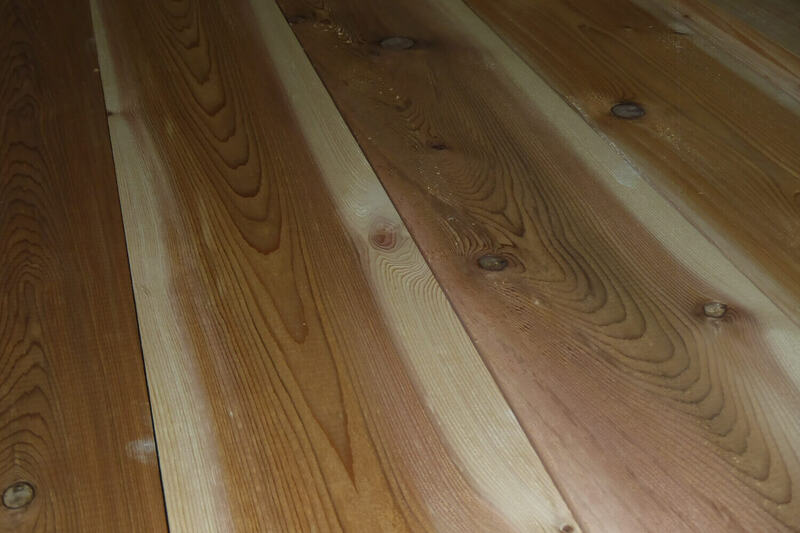 Another important point that differentiates our wood floor boards from others is the joinery repair of knots from 20/25 mm using oak wood knot plugs, wood putty and proper sanding process to follow. 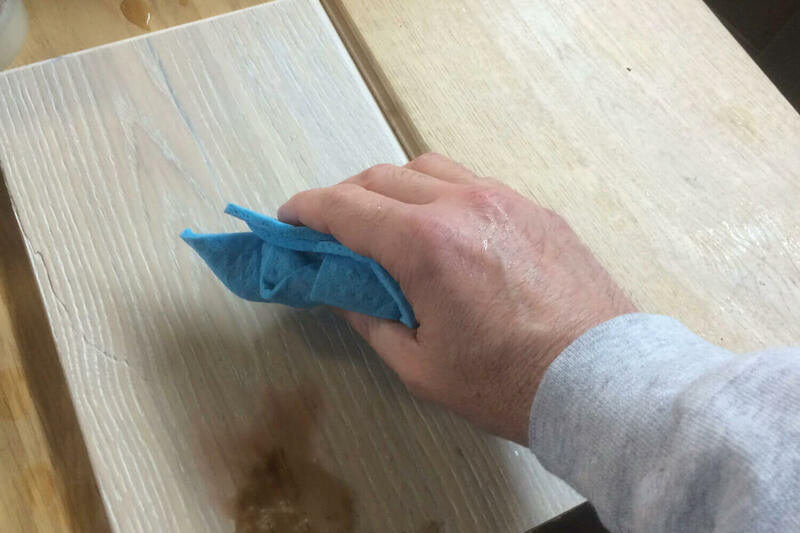 Many manufacturers do not pay enough attention to this process; they just fill knots with a mixture of sawdust and PVA glue, some even use cheap fillers of dubious quality. 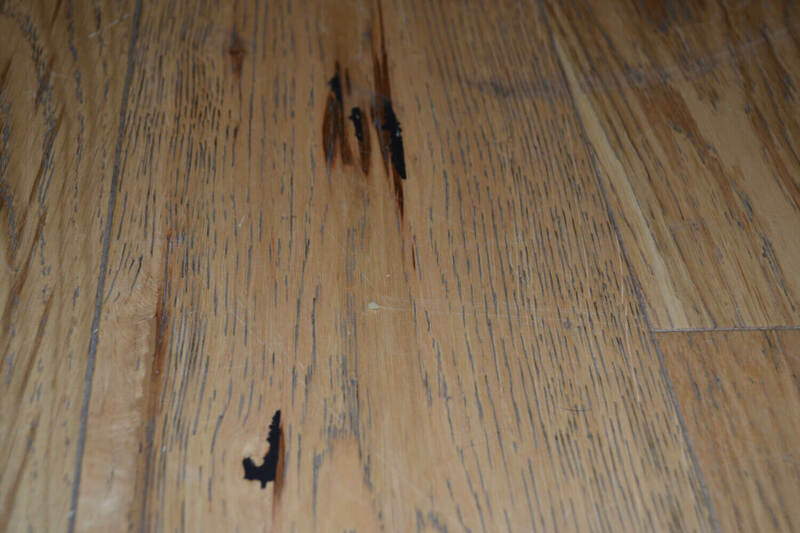 The problem with this is that cheap filler can crack, crumbles, breaks and comes out forming holes, while the flooring is in use, and when there are fluctuations in temperature and humidity level in the room. 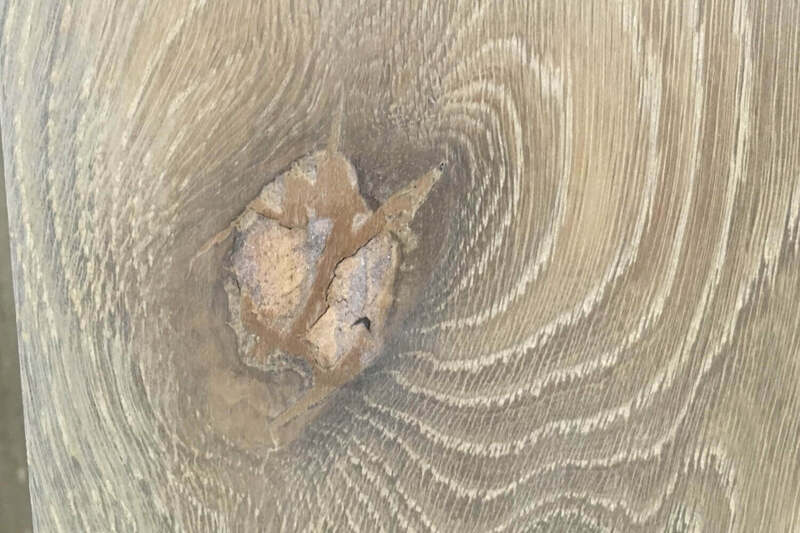 We strictly follow the requirements of British Standard Institution BS946:1996 and carry out high quality repairs to the knots that mimic a real knot in colour and texture. 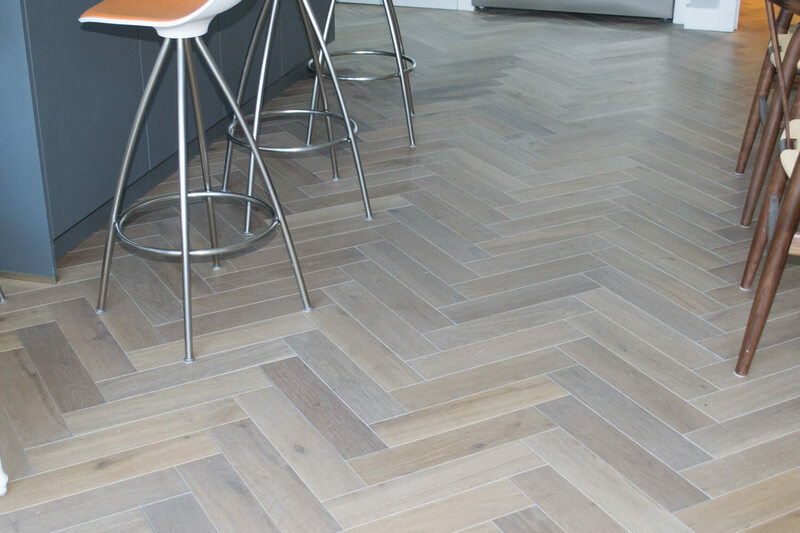 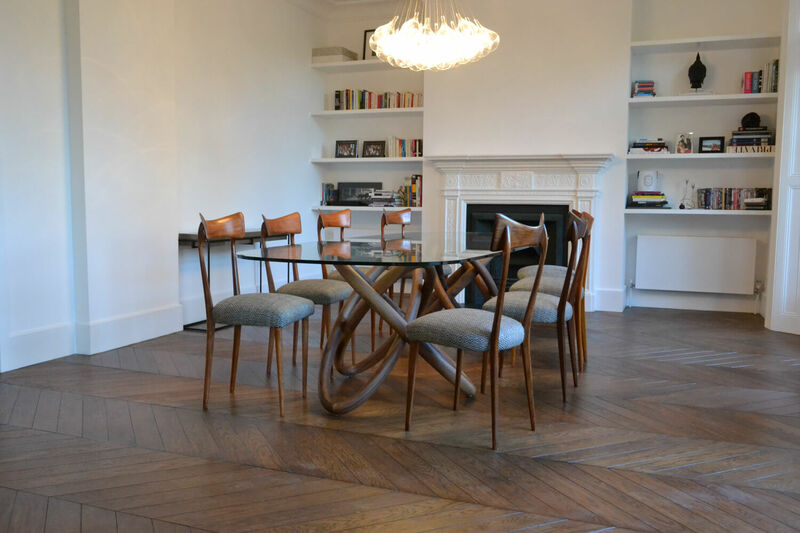 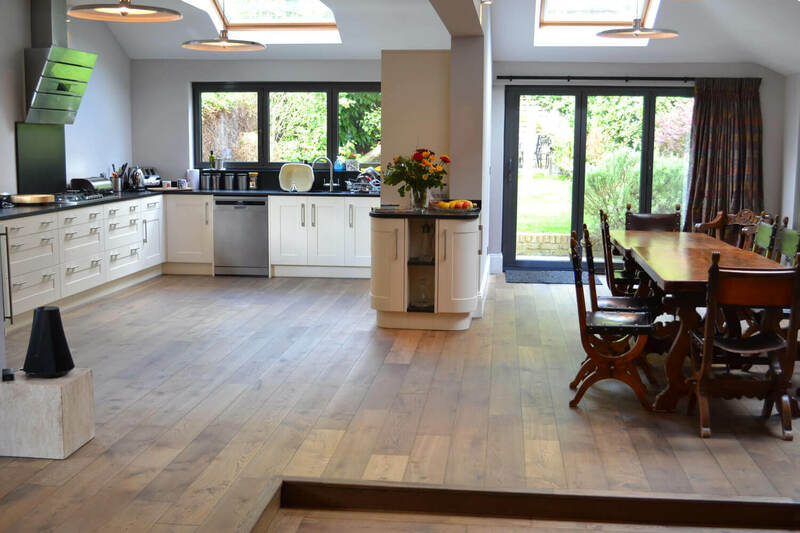 Sure it’s a long, tedious process with the use of various labours at all stages of the process, but in the end we get guaranteed quality parquet in line with the requirements of British Standard Institution with a long service life. 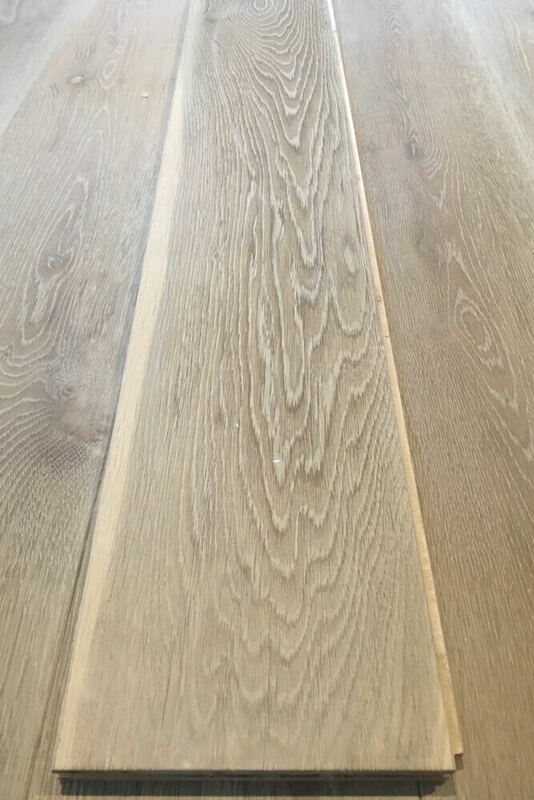 The bottom (back, base) layer of 3 Oak’s engineered wood floor boards is made of damp-proof Siberian birch plywood and adds rigidity to the construction of our engineered board. 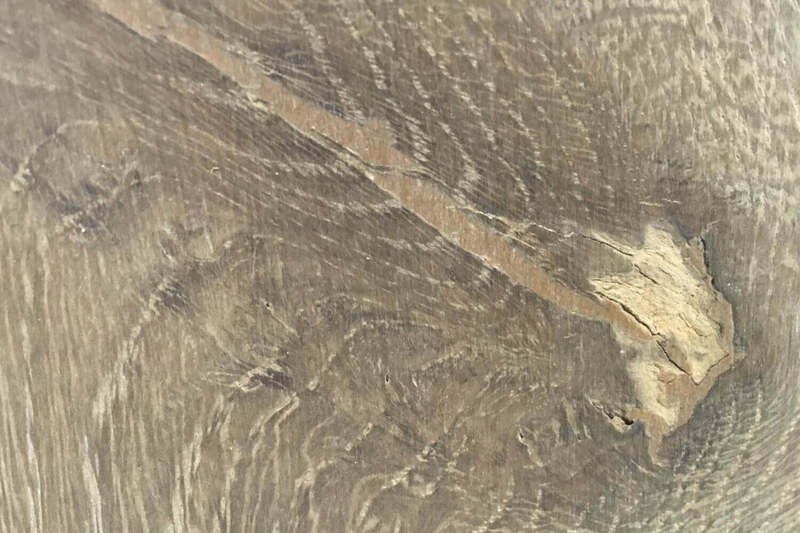 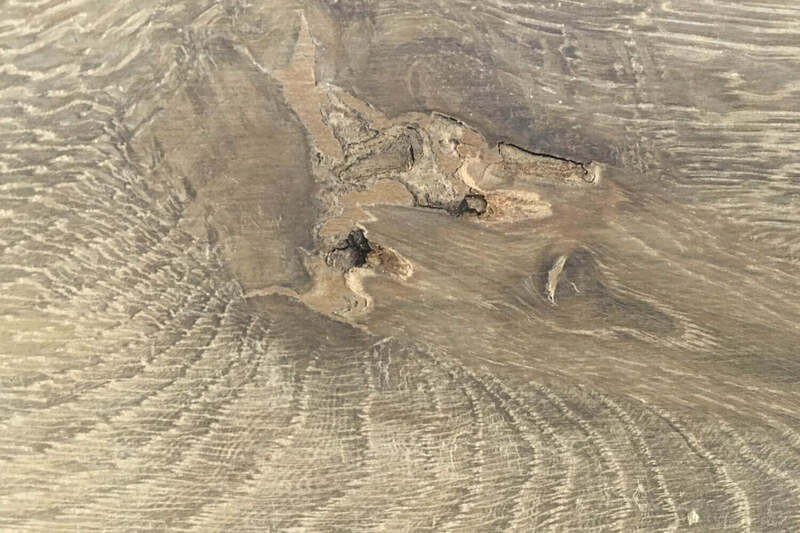 This Siberian birch plywood is made up of 11 or 13 single layers of birch veneer glued together with the grains at 90° angle to increase the strength and stability of the final product. 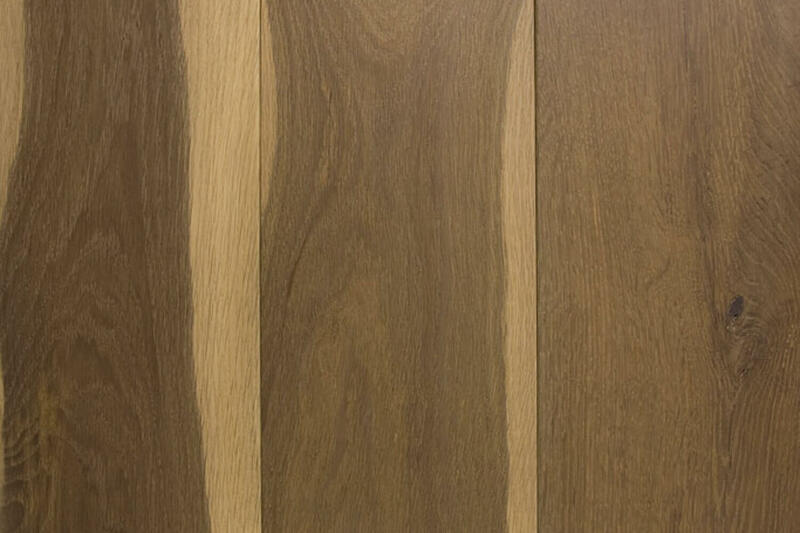 This birch plywood has a high level of water resistance, is pleasantly warm to the touch and has a beautiful wood pattern. 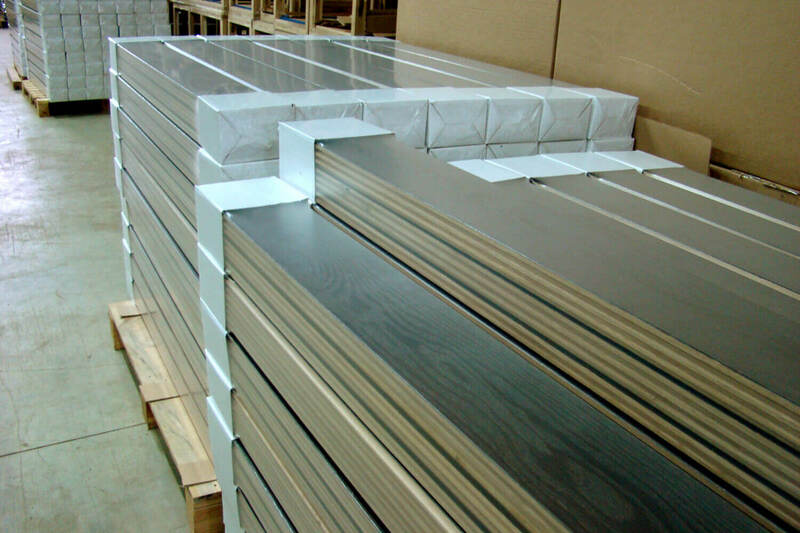 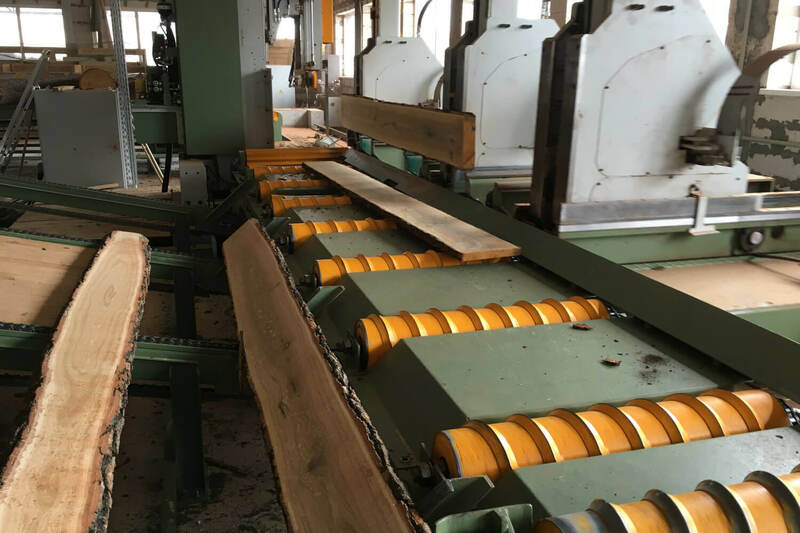 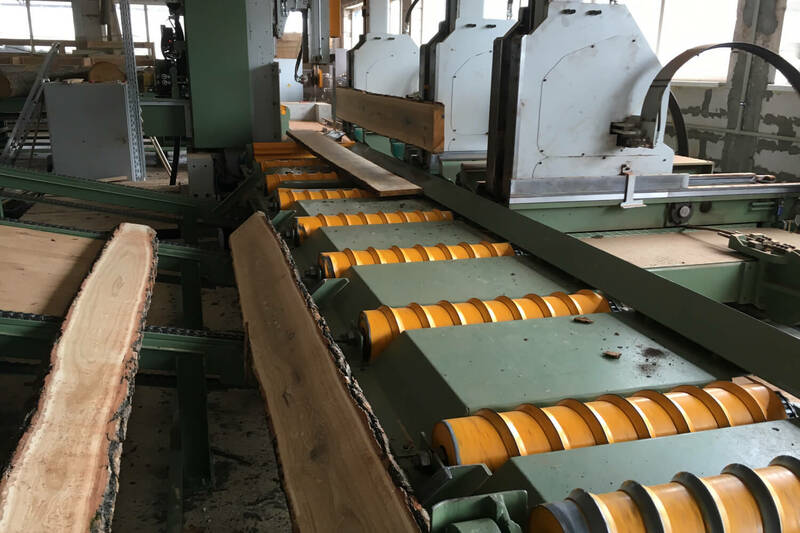 These characteristics make Siberian birch plywood one of the most popular materials not only in wood floor production, but also in manufacture of furniture and interior decoration. 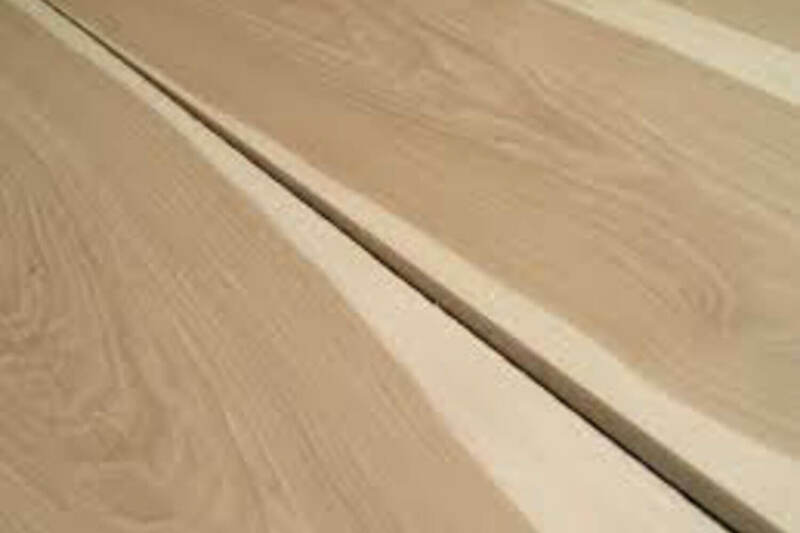 Birch plywood complies with European Standards E1, DIN68705-3, EN13986, EN636-2 certificates and is safe for health and the environment. 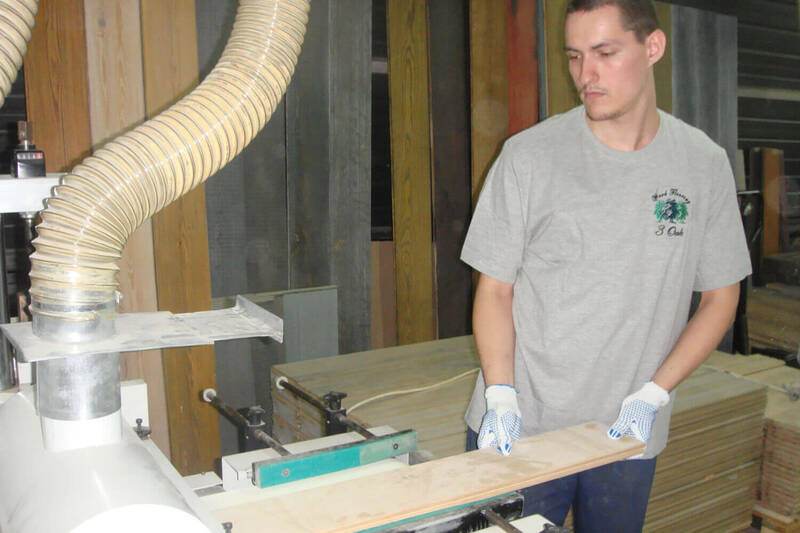 We use only birch plywood that has an FSC certificate awarded by Rainforest Alliance in accordance with Smart Wood program.